Does your dog display irritating behaviors? Does he have problems with aggression? If you answered yes to any of these questions, Bark Busters can help. 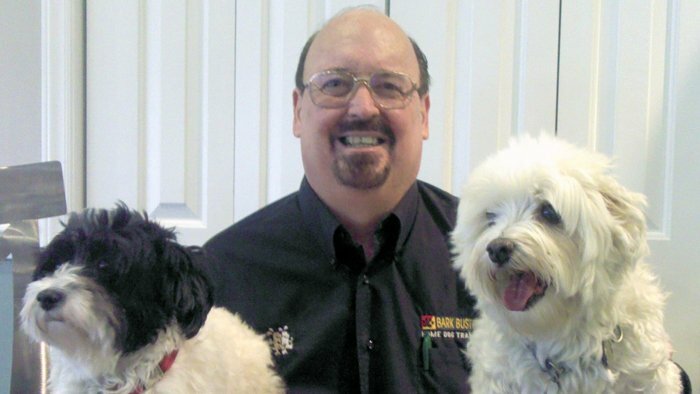 I have been successfully training dogs all my life including more than five years with Bark Busters in the Durham, Raleigh, Chapel Hill and Cary regions. During this time I have helped hundreds of dogs overcome virtually every type of behavioral issue from basic obedience to severe aggression. Here are comments from some of my clients. "I would recommend Jerry to everyone who has a dog. He is a great teacher and trainer. Jerry is amazing." "I highly recommend Jerry to all the people that I meet in my pet sitting business on a day to day basis. It is without hesitation that I state my dog has transformed into a well behaved dog because of Jerry." "Jerry was a master at showing us how to communicate with and rehabilitate our dog. He has helped us create a healthy pack both at home and away." "We recommend Bark Busters. We love the service. Jerry is a fantastic trainer!!!" The Bark Busters methods have effectively trained over 1 million dogs worldwide and have succeeded where other methods have failed. In home dog training. I come to your home where most of the obedience issues occur. Your dog is most comfortable and receptive to training in his own environment. 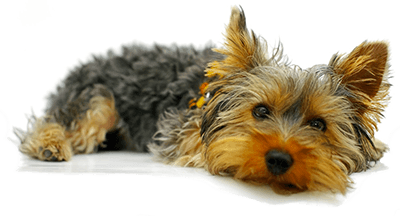 Personalized dog and puppy training - There is no "one size fits all" dog or puppy training class. I implement a personalized one-on-one lesson plan based on your dog's particular issues and your goals. Mature dog and puppy training - I can train any dog, any age, any breed, any issue. Positive dog training - Our training is humane and produces lifetime results. I do not use choke collars, shock collars, prong collars or clickers. Effective dog training. Our first lesson runs approximately two and a half to three hours with any lingering issues addressed in follow-up sessions. You'll be amazed at the difference in your dog's behavior after one lesson! Communicating with your dog - I will teach you a method of communication that your dog understands based on body language, and pack leadership. You will learn how to use vocal communication to get your dog to focus on you and respond to your directions. By reinforcing our training techniques 10 to 15 minutes a day, you will soon become your dog's pack leader. Lifetime Support Guarantee. Our support guarantee states that if you follow the training instructions provided during our lessons, I will work with you for the life of the dog at no additional charge. If you move to a location outside my area, another Bark Busters therapist will honor the guarantee (Restrictions apply). With me, Bark Busters is not a job - it's a calling and what I love to do! I can help you have a rich, full, healthy and relaxing relationship with your dog. You will learn to trust each other and communicate in a way you never thought possible. It's easy, it's fun and most of all, Bark Busters dog training is effective.